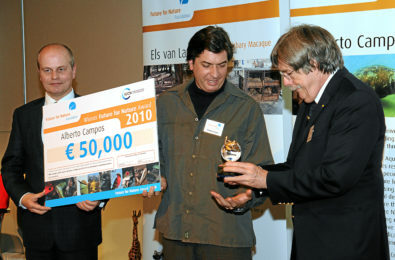 Alberto Campos was one of the winners of the Future For Nature Award in 2010. 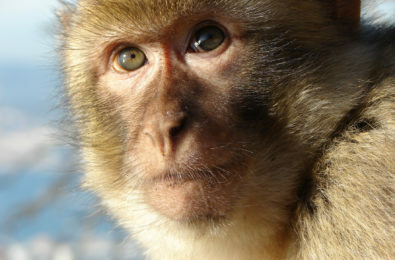 His life project is to do as much as possible to prevent extinctions. 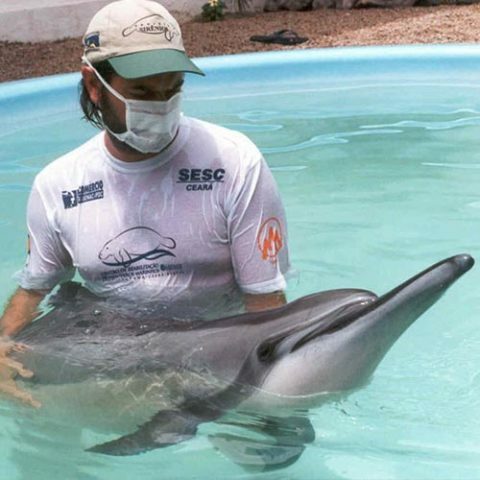 His work for the NGO Aquasis gives him the opportunity to prevent the extinction of the most threatened animals in North-East Brazil. “Since 1992, when the NGO Aquasis was founded with the mission to prevent extinctions in North-East Brazil, we have been identifying the most threatened animals in our region and setting up teams to conduct long-term conservation projects to protect these species and their habitats. Currently we are focusing on two marine mammals, the Antillean manatee and the Guiana dolphin, and two birds, the Araripe manakin and the grey-breasted parakeet. Aquasis is the Species Champion for both of these bird species in BirdLife International’s Preventing Extinction Programme, and Sir David Attenborough is our Species Champion for the Araripe manakin. We presently run a Rehabilitation Centre for orphaned manatees, as well as conducting field research and awareness campaigns, and promoting habitat restoration and public policies (like the creation and management of protected areas) in six priority areas spread over four Brazilian states. A special place for my project is the Cajuais tidal plain in Icapui municipality (Ceara State, Brazil), a regional biodiversity hotspot with great environmental and social importance. It is a major feeding ground for endangered manatees and migratory birds, and a large breeding and nursery habitat for many fish and crustaceans (especially spiny lobsters) that support the regional artisanal fisheries. 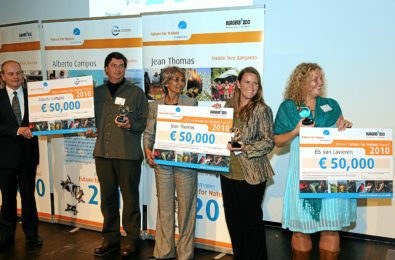 FINAL CALL for new Future For Nature winners! 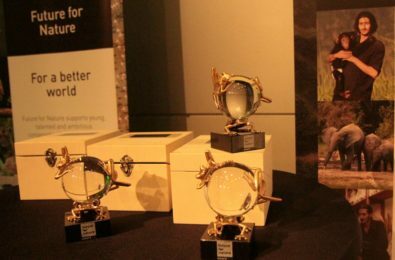 Application for the Future For Nature award 2017 is OPEN!